Helloooo friends, hope you guys are doing well . As many of you will know that I have an oily to combination skin type and sometimes suffer from those horrifying breakouts ,therefore I become too concious while using any product on my skin or hair as compromising is just not an option. 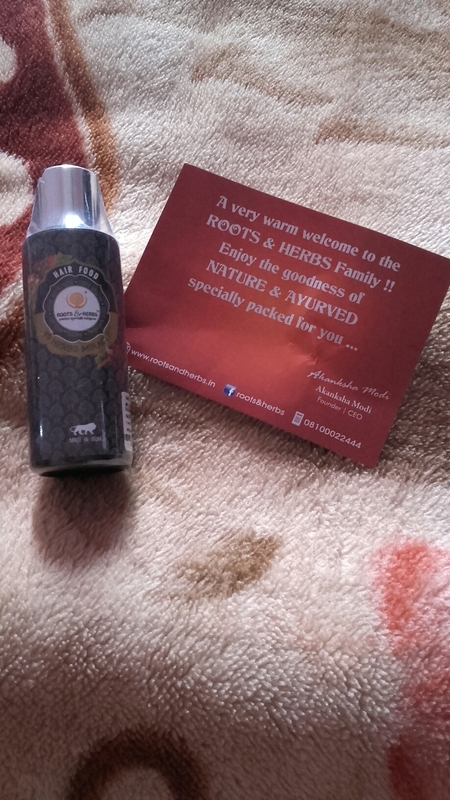 Roots and herbs was kind enough to send me their specially curated box to try out the various range of products . 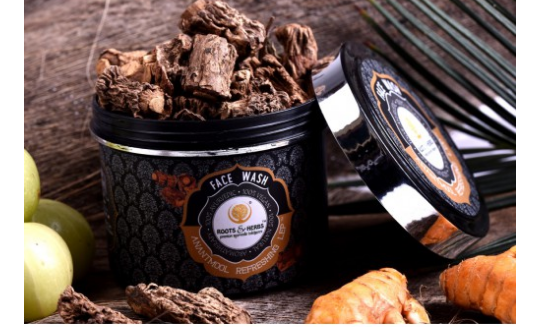 This is their bestseller which has active ingredients like bhringraj, jatamansi, curry leaveswhich not only strengthens your hair but also activates the hair follicles and promote hair growth . I really loved the fact that they named this precious oil as hair food which totally justifies the objective of the 49 herbs in this product and acts as a complete solution for your hair problems . 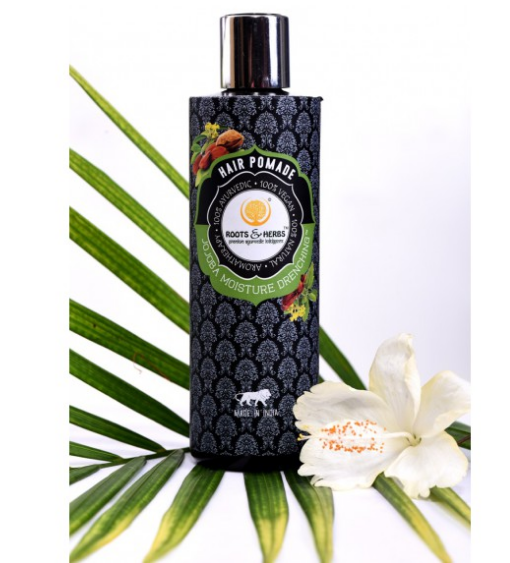 Friends let me tell you that all the products of this brand are 100% vegan and ayurvedic and are in form of powder ,gel or oil so this have a typical ayurvedic fragrance which can sometimes irritate your surrounding but I guess its totally worth it after gaining the benefits out of it . In our daily life ,our skin goes through so much of stress and strain due to pollution and for me this cleanser worked as a life saviour. Last month i suffered from random breakouts in the forehead which were very painful .Then I started off with this cleanser which is not only helpful in removing the stubborn make-up but it active ingredients like neem seed oil , tea tree oil and cucumber extract helped to a great extent so sooth my skin. I even felt that massaging the oil for about 2-3 mins and then keeping it for 20mins has provided me with that extra moisture which my skin always lack . Now there is a misconception that acne prone or oily skin should not apply oil , but guys if our skin or hair deprives from the natural oil then it tends to produce more oil and results in clogging of pores. This is their revolutionary body oil which is enriched with pomegranate oil, argan oil , rosehip oil to name a few. I tend to have a dry skin even in the summers and by messaging this oil I have visibly seen the result .Now I dont really feel like applying a moisture over and over again and this light weight non-sticky oil locks the moisture for the entire day . 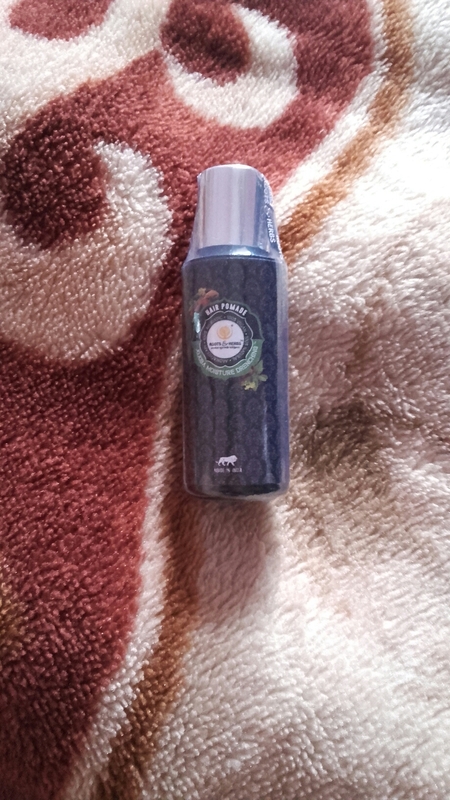 It has a very pleasant light ayurvedic smell and yes off course it does not stain the clothes. 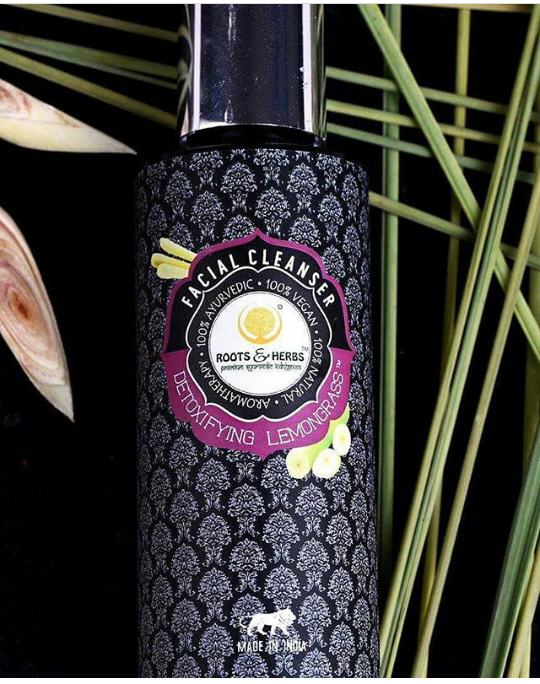 This is a powder face wash which is SLS/SLES fress and has rose petals and herbs like amla,anantmool and orange peel .This face wash lep feels a little gritty which mildly exfoliates the skin and removes tan effectively . I have used this product only once but definitely I would like to give it a thumbs up .Keeping aside the chemical conditioners and masks available in the market ,this hair promade is the ultimate solution for frizzy ,unmanagable or simply any tyoe of hair as it locks the moisture and provides the extra nourishment which your hair needs .So if you want your tresses to be strengthened then do give this a try . 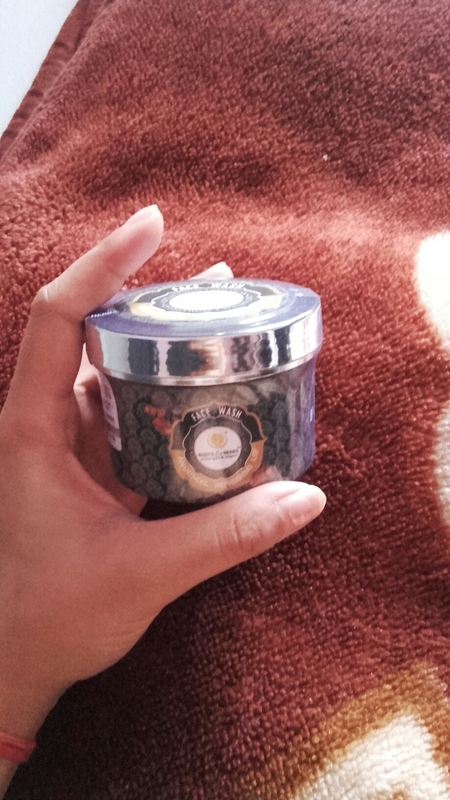 The active ingredients like ghrit kumari, hibiscus flower, castor oil makes my hair so managable . 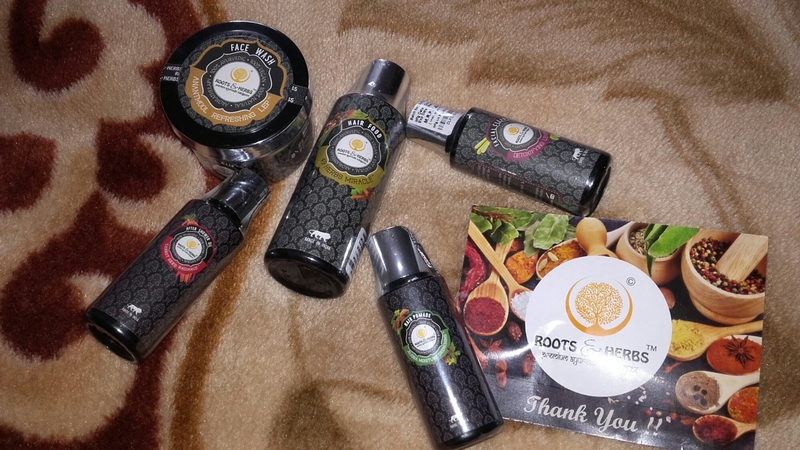 So my take on this brand Roots and and herbs is 4/5 and would definitely try some of the other ranges of toners and moisturisers. Note- Do undergo a patch test for sensitive skin even though these products are 100% ayurvedic just in case you are allergic to some specific ingredients . Thanks for reading friends .